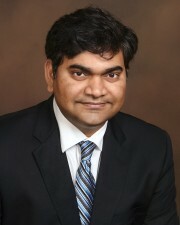 Dr. Reddy is a dedicated, experienced dental practitioner with graduate training in periodontics and implant dentistry. He possesses highly-skilled expertise in a variety of periodontal & implant surgical procedures and posses more than nine years of experience practicing general dentistry, with a focus on surgical and restorative dentistry. Passionate about periodontics & implant clinical therapy and research, Dr. Reddy has a strong drive to be an expert clinician and also a part-time educator who is actively involved in research in the field of periodontics and implant dentistry. In the past, he has volunteered at the Jamaica National Children’s Home, Kingston, Jamaica, providing dental treatment to underserved children. Office staff very professional and friendly. Miecxystawa Zulinski is good with her patient’s. Professional, competent, and always courteous. Friendly and upbeat staff. I highly recommend Oceans Dental. Appointment was on time, office staff friendly and helpful. Very friendly staff and helpful. Especially since I’m very scared . The dentist and assistant were wonderful as well . Very professional and informative. Wanda was amazing and very gentle when she cleaned my teeth. I will definitely refer my friends and family to this office. The staff is so accommodating. Denise was fantastic, always hated the dentist until I had her for the cleaning. Very professional and friendly and made the experience enjoyable! Sending in my spouse. Everyone was friendly and thorough. Great dental work and nice staff. Satisfaction with the result of my visit. My dentist is attentive and caring, as well as all the care givers such as hygienist and front desk clerks.